I must admit that I take pride in washing my car even though it takes time. When you wash your car, you can't neglect the all important tires. 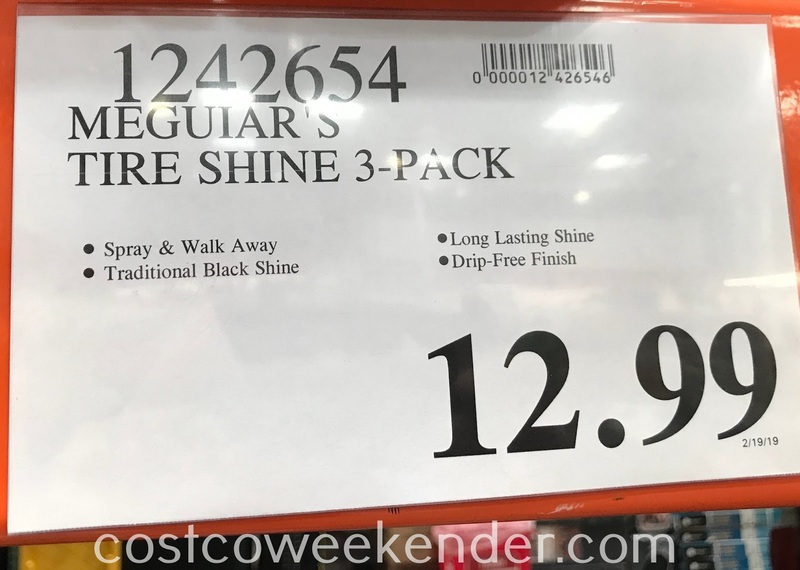 That's why you need Meguiar's Classic Tire Shine as part of the finishing touches. 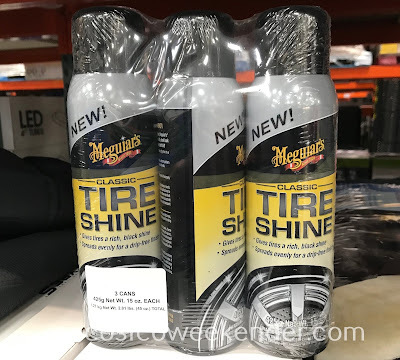 Meguiar's Classic Tire Shine gives that deep, shiny black color to your tires. Without it, your tires will look dull and gray from all that brake dust and dirt that seems to build up after miles on the road. 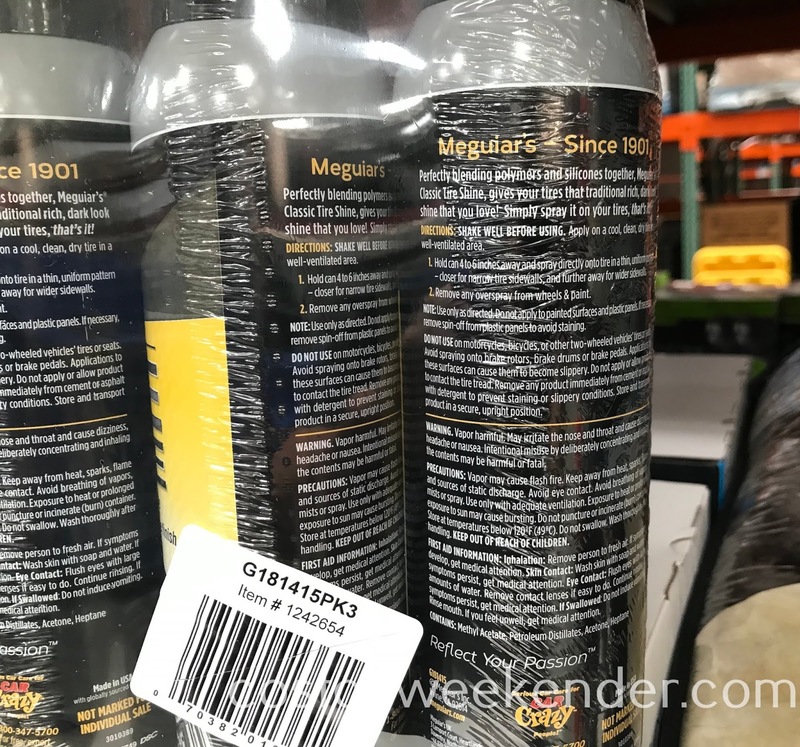 You don't even need to scrub your tires prior to applying Meguiar's Classic Tire Shine in order for it to start working and to bring out that black color that tires should be. 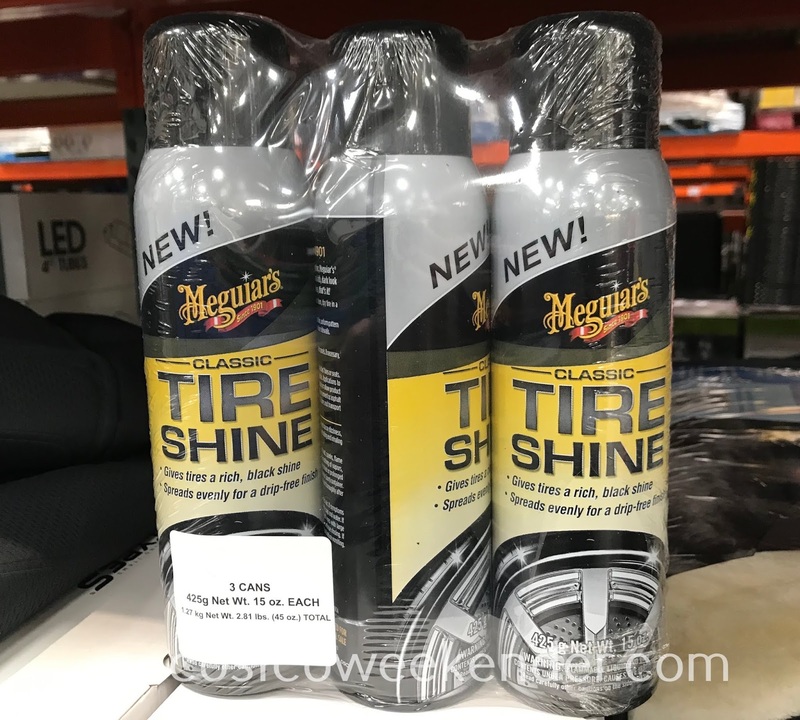 Perfectly blending polymers and silicones together, Meguiar's Classic Tire Shine, gives your tires that traditional rich, dark look shine that you love! Simply spray it on your tires, that's it!